Shree Ramamurthy, by profession, was a banker and an IT professional - managing IT projects related to BFS industry. He parted from a senior management level in an IT company to venture his own consulting and also to devote himself spiritually. He has already penned a book on Lalita Sahasranamam in English running to 7.50 pages and another book on Dasha Maha Vidya. He started his career with a post graduate degree in Mathematics, but during his 34+ years of enriching professional journey, he has equipped himself with various degree/ diploma/ certificates in diverse fields like law (B.G.L. ), Banking (CA.I.I.B. ), IT Audit (CISA), Project Management (PMP), Global leadership (CGBl), Green and Black belt in Six Sigma, etc. And to top it all, at the age of 56+, he is actively pursuing research for a Ph.D. programme in a never ventured area linking Information Technology and Samskrit. While one side of him uses latest gadgets and moves around with PDAs and laptops, his other side always is dedicated to gaining spiritual knowledge. 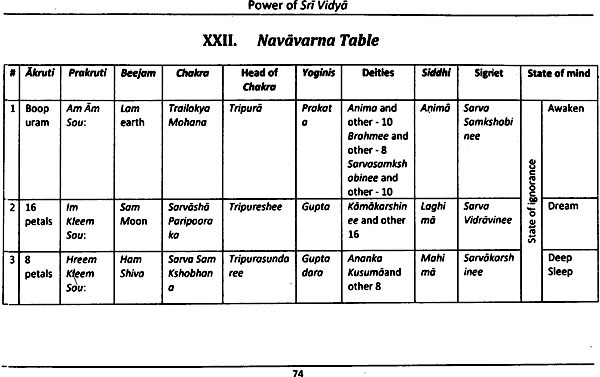 Vedas, shastras and Samskrit language in particular impresses him. May Shree Devee shower Her choicest blessings on him and may we expect many more of such endeavours from him. The Sakta worship, i.e. 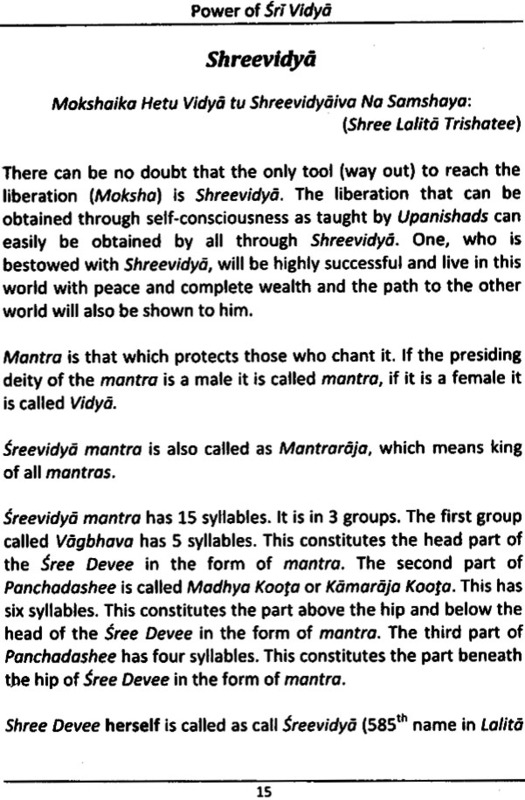 Srividya is the best among the six religions (shanmada) established by Sri Adi Sankara Bhagavadpada. Only the Srividya worship enables the people to experience and comprehend the inner truth of vedantas and resultantly the Brahmam. Sages have confirmed that "Charame janmani yadha Sri vidya upasako bhaveth", only the person who has done Punyas in previous births can learn Srividya worship in this birth. 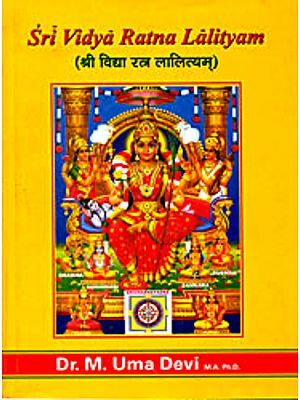 Srichakra is the mother of all chakras. 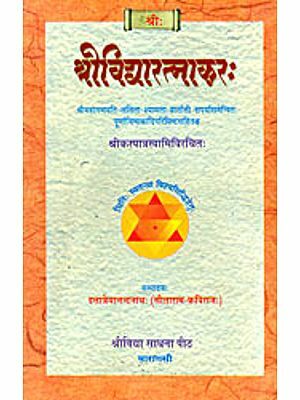 The person who learns Srichakra worshipping methods from an appropriate guru (teacher), and continues the worship as mentioned in the relevant tantras, will definitely attain all the 8 great siddhis (ashtama siddhis) and will also recognise the Brahmovidya in this world itself. The knowledge that the guru (teacher), deity and the soul-self (atma) as an integrated single entity will be understood only by the worshippers of Srividya. 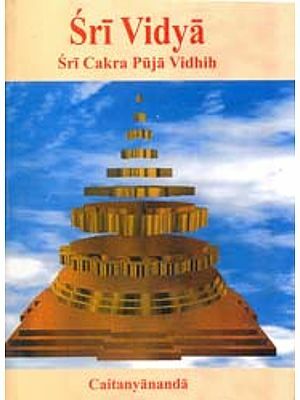 All the Siddhas who lived in this world attained the ability, of removing the hurdles of the devotees who come to them, only due to Srividya worship. 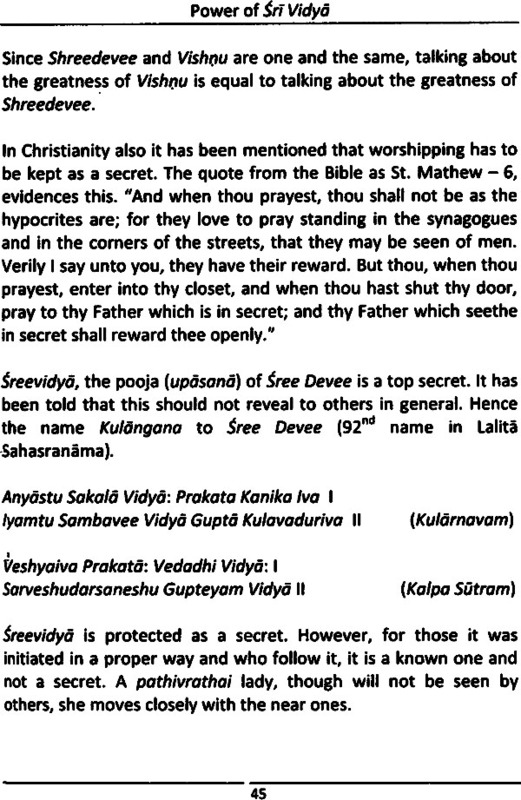 For those who continue Srividya worship will definitely lead a peaceful and blissful life - there is no doubt. 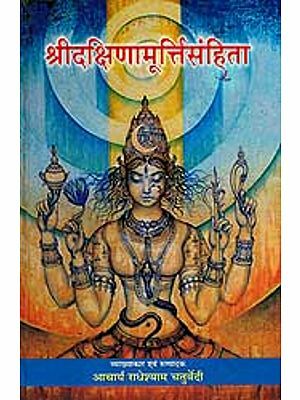 The news that Sriman Ramamurthy has written this book in simple English understandable by all about such a great Srividya gives great pleasure. 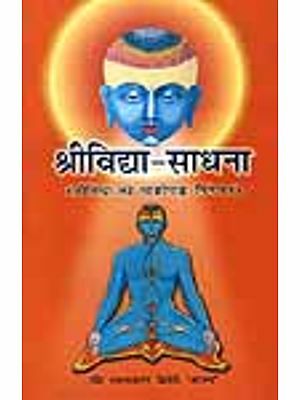 It is entreated that everyone should read this book and comprehend the ideas about Srividya and reap all the benefits and fruits. We pray to Sri Vidya Mahasowbhagya Parashodashi Devi, to bestow her full blessings to Sri Ramamurthy to continue his service to the spirituality for long time. 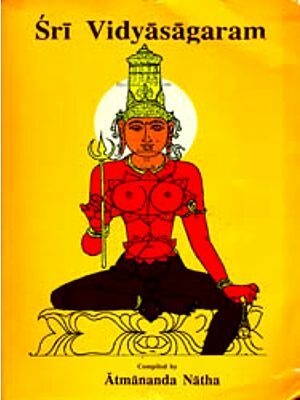 The beneficent deity Lalita Tripurasundaree. 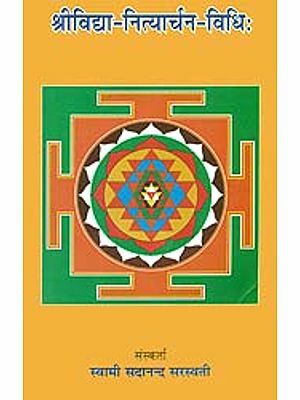 Her mantra; and the yantra known as Shreechakra. 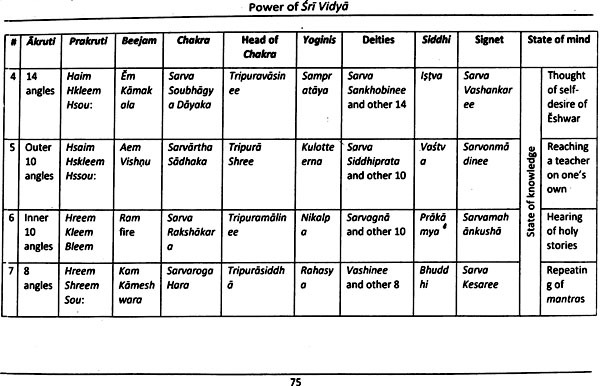 Shreevidya creates a systematic, esoteric discipline combining elements of the yogas of knowledge, devotion and ritual. 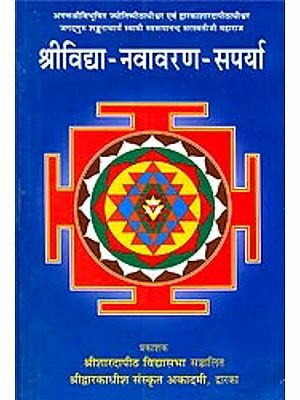 In the Shreevidya tradition, the Shreechakra is the yantra (diagrammatic symbol) for worship. When the Shreechakra is elevated or drawn in a three dimensional form the Meru is formed. The Maha Meru is identical in structure to the Sri Chakra, but is in three dimensional forms. If the Meru is viewed from the top or is compressed to two dimentsion, it takes the shape of the Shreechakra. The structure of the Shreechakra is complicated. The Shreechakra is made up of a series of nine triangles around the central point or Bindu. In the Shreechakra, the journey is from the outer bhoopura to the central Bindu, the path indicative of one's own journey to the ultimate Godhead, step by step. This form of ritualistic worship is called the Navavarana Pooja, avarana meaning veil. Indeed the process resembles the removal of the veil of ignorance stage by stage until the devotee merges with the Bindu or the Supreme Mother. Each level or aJarana is dedicated to a certain deity and offering worship, the aspirant is elevated to the next plane. Each level of Chakra has its own presiding deities and mudras. Who is eligible for this worship?